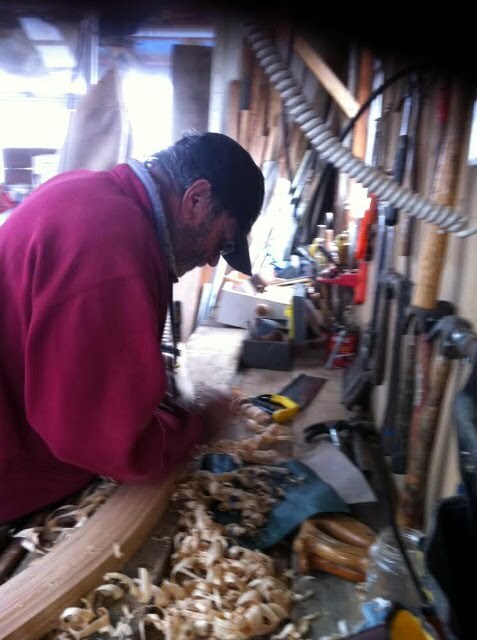 "Many thanks to Graham R for keeping the skiff build ticking along while I've been away. A deadline for the turnover has been set -17 November so it's all go ! Cutting and fitting the outer stems to keel scarfs as well as final shaping of these pieces kept the hand planes going today. There was a temptation to pull out the power plane but one look from the ladies painting "Imagine's" topsides a few feet away was enough to scupper that thought! 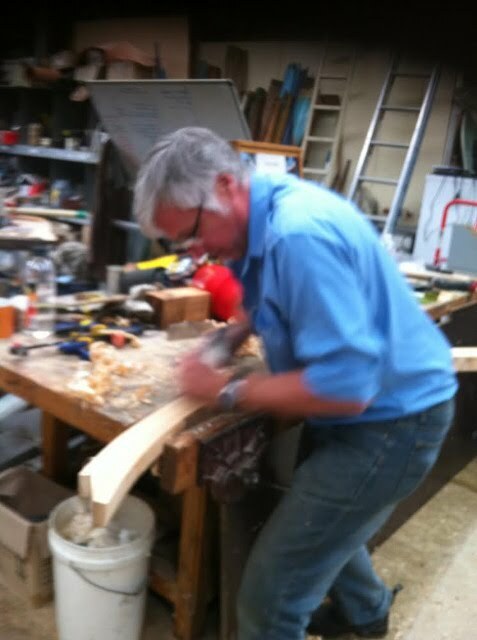 Friday should see the outer stems and keel shaped and glued in place." "The Master has returned! 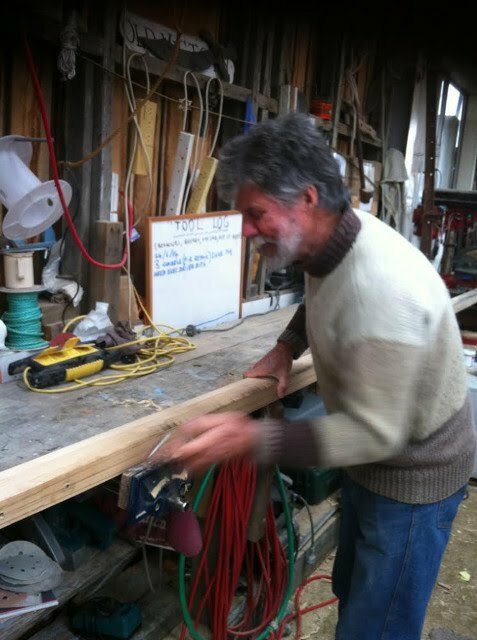 After three weeks in sunny Queensland Pete is back at the helm and seems happy with our progress during his absence. Today we made some minor adjustments to the keel/stem fit and planed them in preparation for glueing up this Friday. Last Friday saw us diverted to Imagine to help the ladies give her a little freshen in preparation for the Huon Show. Those cakes certainly went down a treat, hint hint."